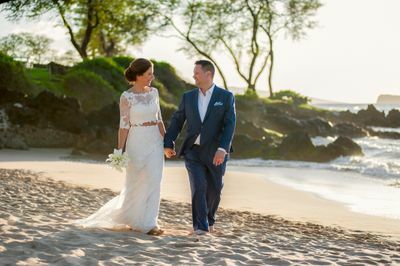 Up to 1 hour of coverage includes ceremony, signing, family portraits and romantic couples session, sunset session (depending on ceremony time). 200 - 300 High resolution un-retouched digital files from the shoot (outtakes). 25 photographer chosen High Resolution, professionally retouched digital Images.